Gregory Pest offers Smarter Pest Control for a wide range of commercial and residential facilities. No matter how extensive your problem or how sensitive your business, we have the right solution for you. First, our experts perform a thorough inspection of your facility. We identify signs of pest infestation, pest attractants, entry points where pests may get in, and more. We’ll also ask you a series of questions to better understand exactly how we can solve your problem. Gregory experts design a customized control plan for your facility based on the information we gathered during our inspection. 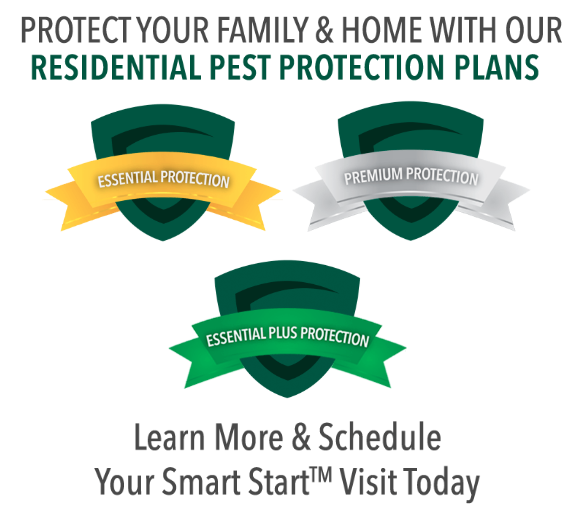 This plan takes into account your pests, your timeline, your facility, and any special considerations we have to consider. Every step of the plan is documented in a master Log Book that will be provided to you. The Log Book includes information on material safety, floor and site plans, service records, pest activity trend reports, and more. We make sure you know what we’re doing at every step of the process. Pests generally enter facilities looking for three things: food, water, and shelter. The first step of any successful pest control program is making sure pests can’t access these attractants. Our experts remove food sources (garbage, waste, or conducive vegetation), water (leaking pipes, standing water), and places where pests hide (overgrown landscaping, debris). Removing attractants reduces the reasons why pests want to come into your facility in the first place. Performing this step early makes every subsequent step easier and more effective. After addressing why pests entered your facility, our next step is addressing how they entered. Our experts identify all access points where pests infiltrated your building. This includes pointing out any specific areas pests used to enter and suggesting how they could be repaired properly. We’ll figure out any means pests may use to enter your building. Then, we work with you to develop a plan for making sure pests can’t use them again. Finally, after you’ve repaired compromised access points, we make sure the repairs effectively keep pests out for good. The best way to prevent a pest infestation is to find out how it works. Our experts do this by carefully monitoring your facility even after we’ve implemented our solutions. During our monitoring, we can identify the presence of pests early and stop them before they become an issue. We can also make sure our control measures are working and adjust our plan if they aren’t. We can even see precisely when and where your pests get in. Monitoring gives us a greater understanding of how your facility works and helps us prevent pests on your terms. After we’ve created an environment that’s not conducive to pest activity, then we work on removing the pests that are already on-site. Gregory uses pest control materials responsibly and appropriately. We only apply products to necessary locations, and only in the lowest effective quantity possible. We only use the least toxic materials possible. By practicing smarter pest control, we can achieve greater results without relying on hazardous materials. Integrated: Integrated pest control utilizes everything, from the latest industry knowledge, to the highest-quality tools, to simple good sanitation and exclusion practices, all to achieve the best possible results. Specific: We work with you to determine exactly what your facility needs, and how we can deliver it. You get a plan that was created for you, not a one-size-fits-all approach. Exhaustive: We treat the inside and outside of your facility, and we don’t stop until the problem is taken care of. Lasting: By fixing access points and teaching you how to prevent pest problems in the future, we can ensure that you don’t have to worry about your pest problem returning after we’re finished. Already know what your problem is? Click on your pest below to see how Gregory will take care of it.